This article was published on 12/29/2014. Now that the seventh console generation is pretty much over, I'll be describing my personal experiences with it. In case you don't know, the seventh console generation is the one that started in 2005 and 2006, with the release of the Xbox 360, PlayStation 3, and Wii. Think of it as a review, except I'm reviewing an entire console generation instead of a single game. Who knows; maybe I'll make this a regular thing and review every console generation ever. For now, though, I'll be focusing on the seventh generation. I purchased a PlayStation 3 shortly after it was released, but not because I wanted to. I mean, I was planning on picking one up eventually, but I originally had no intention of getting it so soon. 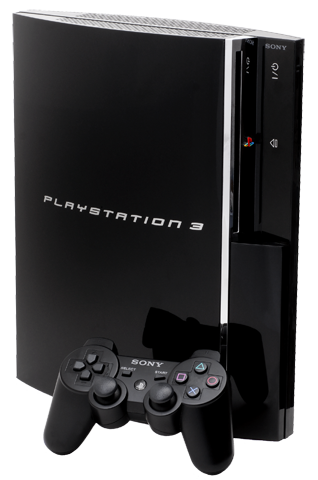 The reason I bought one early, before the massive price drops happened, is because I wanted a fully backwards compatible PS3. Sony announced that they were going to stop manufacturing the fully BC PS3s, and I frantically purchased one immediately following the announcement. I'm glad I did, because the fully BC PS3s went for ridiculous amounts of money on eBay once Sony discontinued it. The problem is that there were no games out at the time that I wanted, which meant the PS3 was nothing more than a doorstop for the first while that I owned it. I'm a big Final Fantasy and Metal Gear Solid fan, though, so that quickly changed when Final Fantasy XIII and Metal Gear Solid 4 came out. FFXIII sucked, but MGS4 was okay. After that, I didn't purchase very many other PS3 games. Most of the big PS3 exclusives, like Uncharted, God of War, and Little Big Planet, didn't interest me at all. The only PS3 exclusive I liked was 3D Dot Game Heroes; this is probably my favorite game on the system. Other than that, I hardly spent any time on the system. I didn't get the Xbox 360 until a few years after it was already out. It was the last console I picked up for this generation. 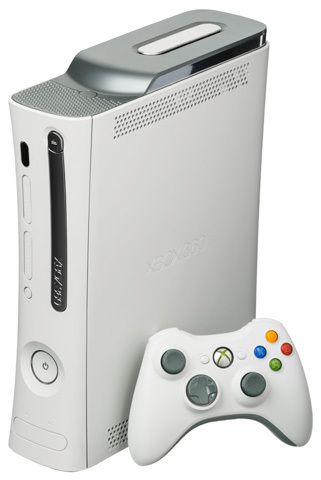 The main reason I got the 360 was because of its popularity; it was the most popular system this generation by far. I figured most of the third-party games were going to be on the 360, which meant I probably had to get one eventually. Additionally, the 360 was the online multiplayer system of choice, and everyone I knew had it. I played most of the multi-platform games on the PS3 initially, but I switched to the 360 once I got one, mostly so I had the option of playing online with my friends. I didn't like the idea of paying for online play, though, so I never utilized the 360's supposedly stellar online functionality. 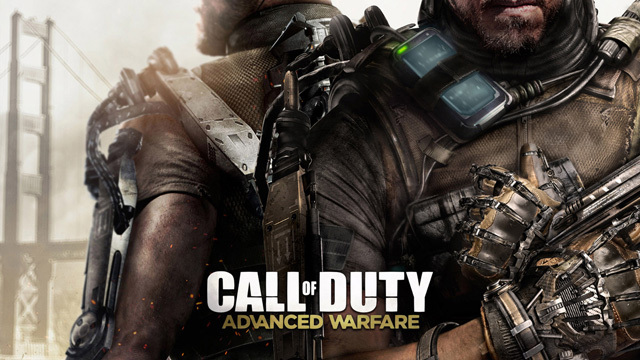 Similar to the PS3, I had no interest in most of the 360's exclusives, like Halo and Gears of War. In the end, I didn't use the 360 a whole lot. In fact, it's probably the console I spent the least amount of time on and bought the least amount of games for. Looking back on it now, I should have skipped the 360. The Wii was the first console of this generation that I bought. I'm a big fan of Nintendo, so this was a fairly easy decision for me to make. The motion sensing gimmick of the Wii did interest me initially, but I got tired of that innovation after a while and went back to playing traditional games exclusively. So why, then, was the Wii my favorite console of this generation? Simple; it had tons of platform games, many of which were of the side-scrolling variety. I absolutely adore side-scrolling platformers, and was in a dire need of those during this gen, to which the Wii delivered. With New Super Mario Bros. Wii, Donkey Kong Country Returns, Kirby's Return to Dream Land, and others, I was in platformer heaven. That's not even mentioning Super Mario Galaxy 1 and 2, which were my favorite games of the whole generation. 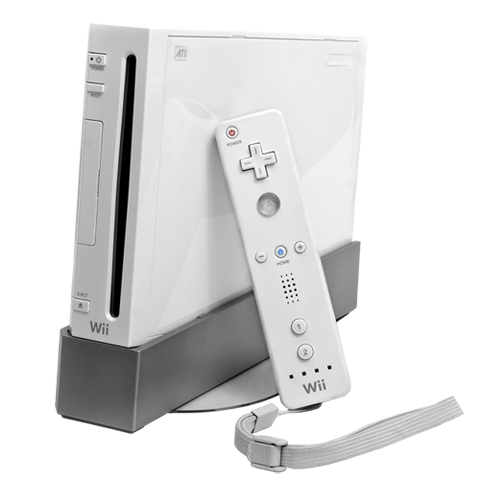 The Wii also launched with The Legend of Zelda: Twilight Princess, a fantastic game to have right out the gate. Almost every itch I had was scratched by the Wii, making it my favorite system of the seventh console gen. I will admit that the controller sucked, though, and I got annoyed whenever motion sensing was shoved down my throat. While not consoles, I will also be going over the handhelds of this gen. I got the DS as soon as it was available, because hey, I owned every single Nintendo handheld since the beginning, so why stop now? The two screen gimmick, with one of them being a touch screen, seemed exciting at first, but it quickly became apparent to me that this was a stupid idea. What's the point of having two screens if I can only focus my attention at one at a time? I don't get it. Also, I hate using touch screens, because they're inaccurate and get smudged up by fingerprints too easily. The fingerprint issue can be solved by using the stylus, but grabbing the stylus every time I need it is annoying. 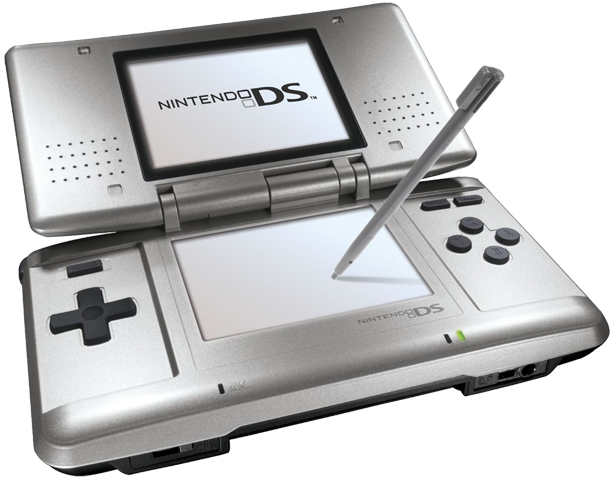 Still, the DS had an incredible lineup of games, most of which ignored the whole dual screen and touch screen thing. I ended up liking the DS way more than the Game Boy Advance, since the DS actually had a library consisting mostly of new games, whereas the GBA's library was primarily comprised of shoddy ports. The DS had ace first-party games, more third-party support than you could shake a stick at, and was just great all around. I probably spent more time on the DS than on any of the consoles. It goes without saying that this was my favorite handheld of the seventh gen. It may come as a surprise to you that I initially found the prospect of the PSP exciting. This was one of the first times I had bought a non-Nintendo handheld since the Game Gear, and it was substantially more powerful than the DS. What more could you possibly ask for? Well, games, for one. The problem with the PSP is that it hardly had any games on it. Many of the games it did have never came to North America, because the portable's performance there was abysmal. Considering I live in North America, that was a problem. I thought the PSP would fare better, because Sony is a far bigger company than Sega ever was, but sadly, it wasn't meant to be. With all that said, I don't completely regret getting a PSP, as there were still a few good games on it. I enjoyed Mega Man: Powered Up, Maverick Hunter X, Final Fantasy: Dissidia, and Crisis Core. 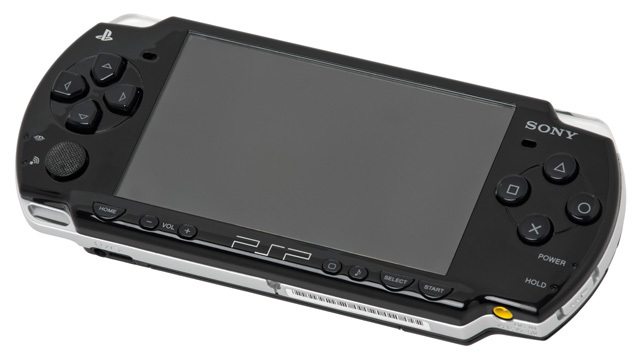 Unfortunately, my options were limited, and the PSP ended up sleeping in my drawer as if it were a coffin. I guess not even Sony can challenge the juggernaut that is Nintendo's portable division. The DS won, hands down. Despite the seventh console generation being the advent of HD gaming, I played very few HD games during it. Because I spent the majority of my time on the Wii and DS, neither of which were HD, I kind of missed the boat on the beginning of HD gaming. The bigger resolution, higher frame rate, and better graphics just didn't do it for me, because I wasn't interested in the games themselves. The PS3 and 360 mostly had first-person and third-person shooters, two genres I don't much care for, which meant they spent more time gathering dust than running games. I don't hate this gen, though, because it heralded the return of side-scrolling platformers on home consoles, thanks to the Wii. While far from my favorite, the seventh console generation is okay in my book. 1,388,080 people love this site.